directed by Claudia Robles - artist in residence at ZKM, Karlsruhe, Germany. Casa Matei – Sala Mare. str. Matei Corvin, nr.3, Cluj. Works presentation : Saturday, 13th of October 2007 from 10:30. Workshop : Monday, 15th of October and Tuesday, 16th of October from 10:00 to 13:00. How the role of the artwork visitor has changed as he became a performer ? How can we create spaces that interact with the performers / visitors ? The aim of this workshop is to reflect on Interactivity, on the interaction between man and machines, on the interaction between data space and physical space. During the workshop, we will try to create an interactive audiovisual stage or installation where every participant would be charged with one part of the construction. The interdisciplinary working group can be integrated by students interested in different disciplines such as theater, electronic music, video, etc. 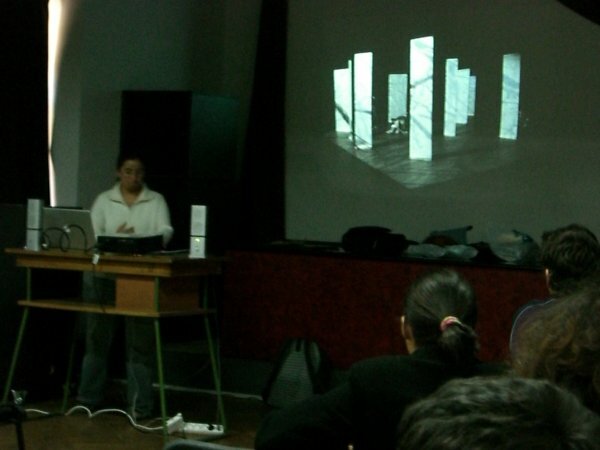 The workshop will allows students to have an approach of the constituent elements of the process that create an interactive audiovisual work. Such elements can be : Capture, Transformation, Projection of data through the electronic devices and in active relationship with the human being. 1. Capture of data, visual and sound material. 2. Digitalization and programming of the effects in real time interaction. Claudia Robles. Born in 1967 in Bogotá, Columbia. Claudia graduated in 1990 from the J. Tadeo Lozano University of Arts in Bogota. After the graduation, she followed other studies in the field of the animated films in Italy, as well as in the field of electronic composition in Folkwang-Hochschule in Essen, Germany and a Master of degree in Media Mix in Ecole Supérieure d’Art Visuel in Geneva. For her sound and image composition „Bewegung in Silber" (Silver Movement), she received the 2nd prize of the „Hören und sehen" (Hear and see) competition, organised by ZKM and Institut für Neue Musik of Darmstadt. She took part to various group and solo exhibitions namely in Bauhaus-archiv Museum für Gestaltung Berlin (2003), in Goethe Institute Bogota (1999), and in Bauhaus Dessau (2002 et 2001). Since 2004, she has been working as an artist-in-residence of the ZKM (Art and Technology Media Centre) in Karlsruhe. 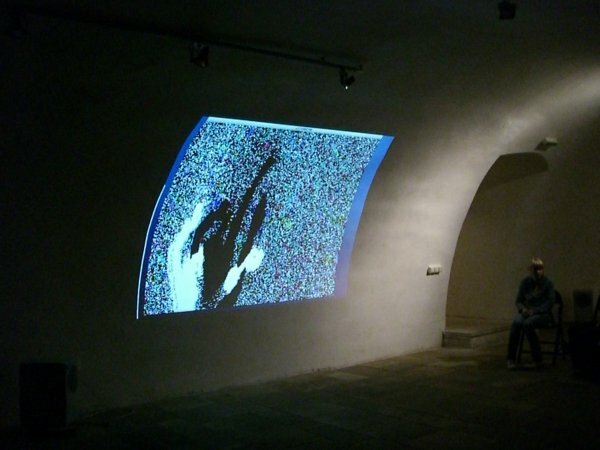 In May 2005, she presented her work Seed/Tree (sound and image installation / butoh performance with live electronics) in solo exhibition. 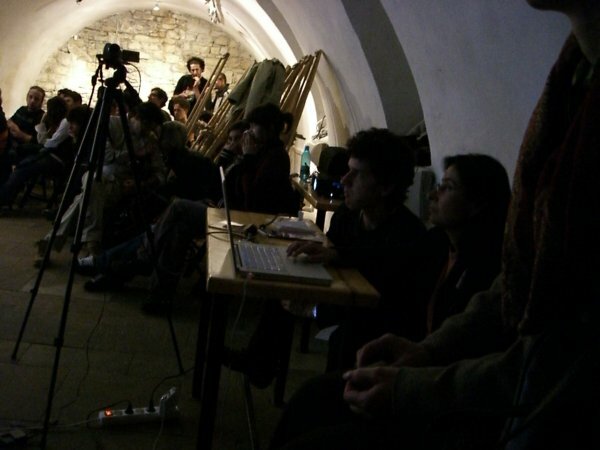 The event is organized by 2580 Association (Cluj) in collaboration with Art and Design University Cluj and the German Cultural Center Cluj.